Search via the address bar with KeySearch 2.1! 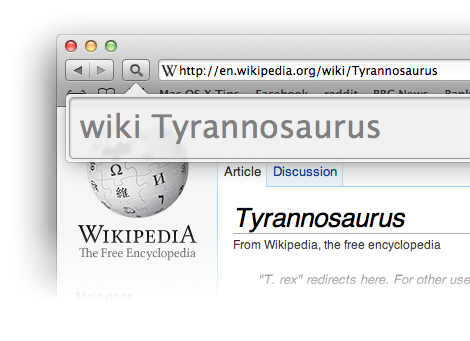 KeySearch adds a new way of searching the internet to Safari. 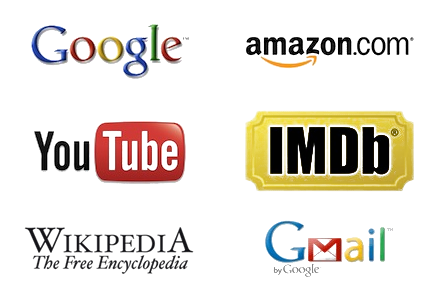 It uses short keywords to allow you to search any site you want, right from the toolbar. While browsing the web, just press Control-S or click the toolbar button to bring up the KeySearch bar. Then just type a keyword followed by your search query. Hit Return, and KeySearch will find the site you want to search and perform the search for you. No more going to Google first! KeySearch comes with plenty of keywords that are ready for you to use. The possibilities are endless - just give it a try. It's really easy to create your own keywords. Just right-click on any search box and choose "Create keyword for this search." Type in a keyword and KeySearch takes care of the rest. 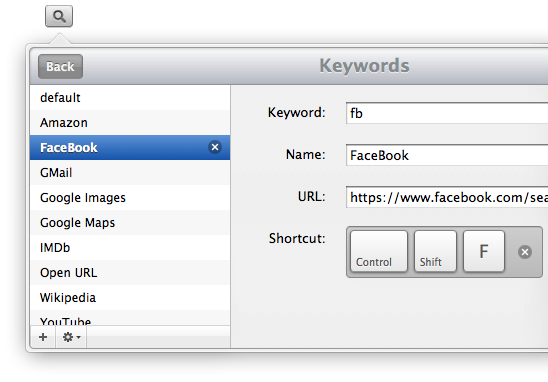 You can keep track of all your keywords by clicking "Edit Keywords" in the KeySearch bar. Here you can manually create new keywords, add specific keyboard shortcuts for each keyword and delete or temporarily disable keywords. KeySearch is designed to take up as little space as possible - you can access everything through single button in the toolbar. 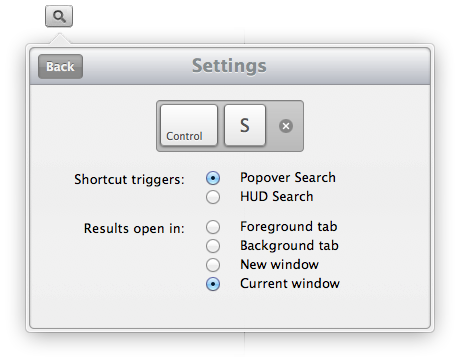 The keyboard shortcut also means you can do your searches even quicker, without having to leave the keyboard. If you don't even want the toolbar button, the HUD overlay takes up even less space. It allows you to make your searches using a semi-transparent bar that is overlaid on top of the current web page. It's great to hear from you! Please add any bug reports, suggestions and feature requests to our feedback forum. If you want to contact us directly, just send an email to matt@macosxtips.co.uk.